The Karma Cup will be taking place on September 9th and 10th this year. This Elite Medical Cannabis, Hash, Edibles, Topical and Heady Glass Competition and Expo will be held in Toronto, ON at a venue to be disclosed closer to the festivities. The expo will feature LIVE Music, Speakers, Canadian Glass Marketplace, Vendor Village, Exhibitors and more. See you there! 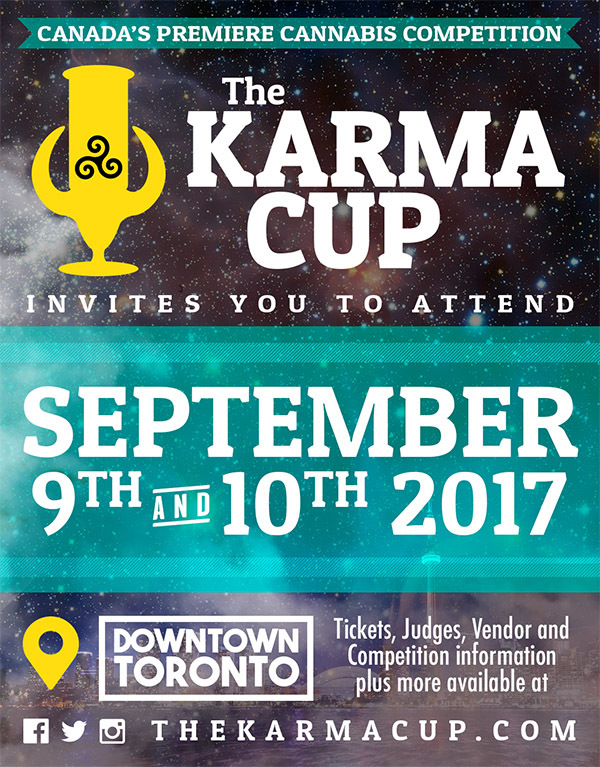 The Karma Cup – Expo Walkthrough 2017 Judges registration is now open!